Students 11 and older are invited to the Teen Chess Club. The chess club is open to players of all abilities. Learn openings, strategies, tactics, back rank matings and more. 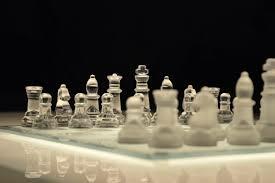 Chess boards will be supplied but players are welcome to bring their own. The Chess Club will meet on the 2nd Saturday of each month from 11 AM until 12:30 PM. For more information please call the library at 645-2733.